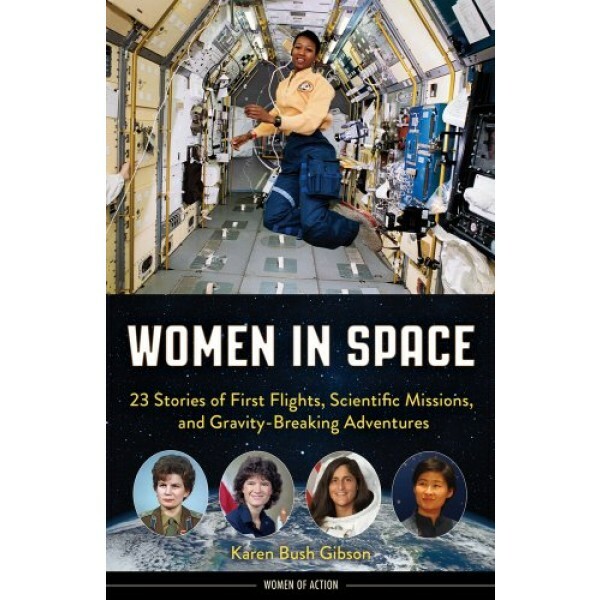 Twenty-three women from 10 different countries whose careers span a half century of human spaceflight are profiled in this educational book for young readers. 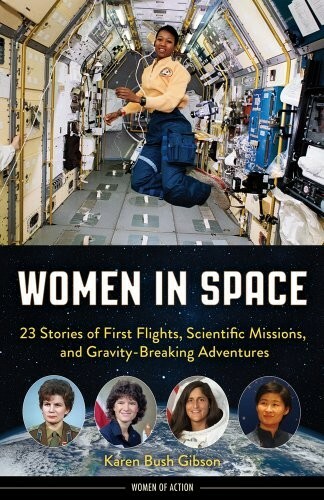 Women in Space features such figures as Sally Ride, the first American woman to orbit the earth; Peggy Whitson, who logged more than a year in orbit while aboard the International Space Station; Mae Jemison, the first African American woman in space; and astronauts from Japan, Canada, Italy, South Korea, and France. Additional attention is paid to the women of Mercury 13, a program that trained women in the same screening tests administered to the men who became the first astronauts at NASA. Space pioneer Valentina Tereshkova, who in 1963 became the first woman to rocket into space, is also profiled. These stories of the pilots, physicists, and doctors who broke the stratospheric ceiling demonstrate the vital role women have played in the history of space exploration. For true stories of hundreds of female trailblazers, visit A Mighty Girl's Biography section.